San Francisco's stairways are sought after by travelers and other lovers of beautiful places. The unassuming stairway walk on Henry Street near Castro is simply lovely. 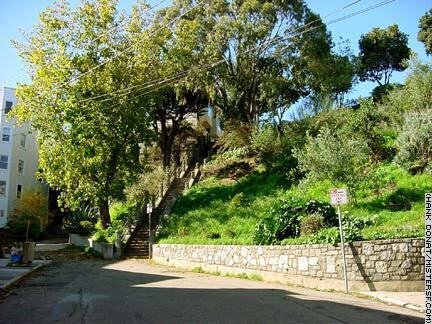 Proud but not boastful, it cuts a graceful swath through the hill leading up to Buena Vista Terrace.